Most people hate putting together a PowerPoint deck. If you’re one of those, Haiku Deck’s new Zuru tool promises to cut the time you need to spend to do so to a matter of minutes. For each slide, a user simply needs to input his or her text; Zuru then analyzes the content, highlighting what it thinks are the key points and matching the text with a thematically appropriate image. 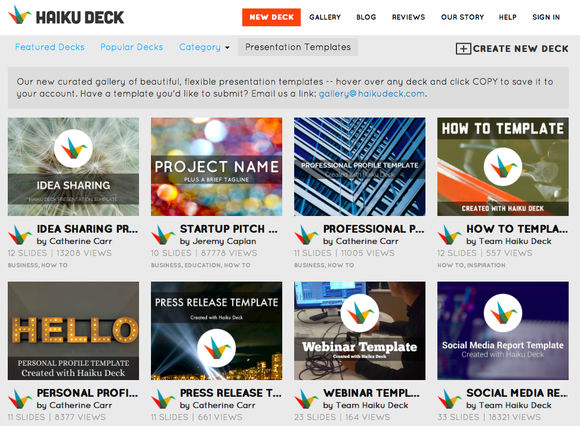 Haiku Deck Zuru is what the company has put together after quietly watching what customers of its Haiku Deck Web and iOS app have put together over the past year or so: shareable, public presentations that use some common, attractive layouts and complement them with Creative Common images. Zuru just does them automatically, and with intelligence, executives said. 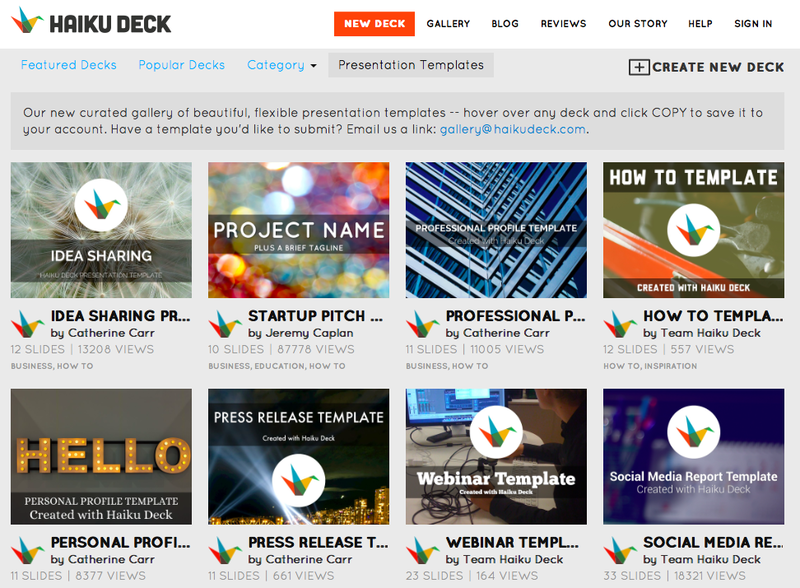 Users can either create their own decks from scratch or "remix" decks that others have made. “Because we’ve taken this cloud approach [to the app], we can look at this data in aggregate: what approach does the user take as he or share creates their story, what images are they picking, what ideas are important versus less important,” said Adam Tratt, the founder and CEO of Haiku Deck, in an interview. 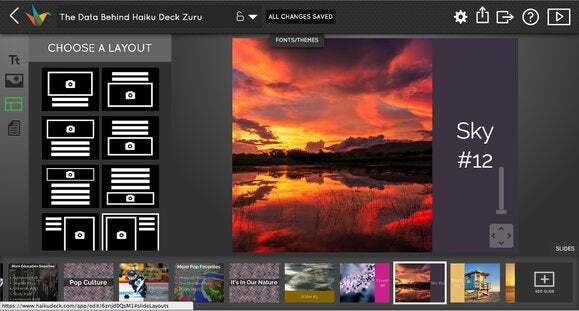 Users can select from one of several templates, input their data, and let Haiku Deck Zuru do its thing. Alternatively, a customer can choose to “remix” a deck that another user has published publicly. Users can also color match images to their preferences, and use one of a dozen new custom fonts. Users can select from a variety of layouts, too. But to be clear, the Zuru app’s priority is to reduce the time needed to put together a PowerPoint presentation, while keeping it looking it sharp. And Haiku Deck will charge for the privilege. While the Web app and iOS app will remain free, the company will charge $60 per year for the Zuru service. Early adopters will be charged $30 per year. For the price, subscribers will be able to able to have early access to the Zuru service, which will enter beta in “early spring” and roll out later in the quarter. They’ll be able to make the presentations private or public, and save them as a generic Powerpoint .pptx file if they so choose. Why this matters: You may look at Haiku Deck and think it looks a bit simplistic; you may be used to PowerPoint presentations with a dozen bullet points and graphics on a single slide. Nothing precludes you from making a complex PowerPoint slide using Haiku Deck; Zuru just tries to cut the time for you to do so dramatically.